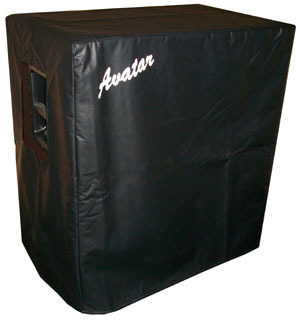 This Avatar B410 features four Custom Eminence Deltalite II 2510 250w 10’s with black carpet and metal grill. 4×16 ohm wired all parallel for 1000w 4 ohm cab. $539 Free shipping! The cabinet is made from superior 3/4 inch 13 PLY voidless Birch PLYWOOD with rabbet and dado interlocking side joints for extreme strength. The Foster high frequency compression horn tweeter is the most popular tweeter used by some of the best companies in the business. 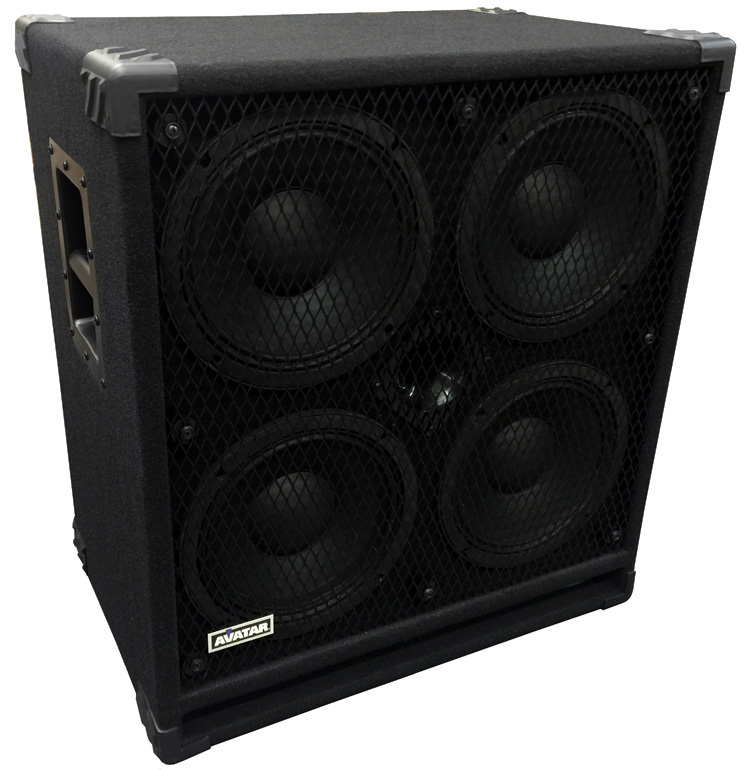 The cab uses the new full 12 db mylar crossover network for both the tweeter and bass speaker sections for a more accurate response and for better power handling. The tweeter volume control allows you to turn the tweeter up for larger rooms or to turn the tweeter down for smaller rooms. The cabinet is covered in black carpet, has protective corners, large recessed steel bar handles, full face steel diamond pattern expanded metal grill, front slot port, steel input panel with dual Speakon connectors and dual 1/4 inch in/out jacks. All four jacks on the back panel are wired together in parallel so you can go in or out of any of them for maximum flexibility when connecting this cab to amps or to other speaker cabs. Dimensions 27H x 24.5W x 16.5D. Limited one year warranty.